The 50-year-old actor began humanitarian work in Sudan in 2005 after feeling the need to do something more beneficial to the world after tiring of "campaigning" to be recognized for his movie achievements. He explained: "I had just come out of Oscar season and you really do campaign, like kissing babies. "By the time it's over, you sort of feel unclean. Would Jennifer Aniston and George Clooney make a good couple? "You want to do something that makes you feel better." Following his first trip to the war-torn country with his father, George donated money to build a well and huts, but soon learned to use other ways than his wealth to help the African territory because of what happened to his gifts. He explained: "A year later, the next-door villagers – who wanted water and needed shelter – killed some people to get to that well and shelter. "It's devastating. We have to be very careful – sometimes helping is not throwing money at a problem." 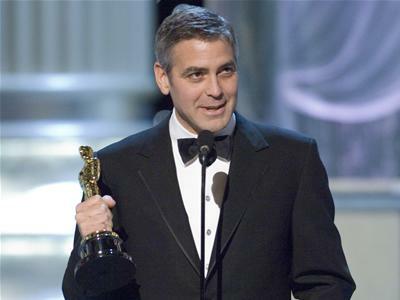 George believes other celebrities should follow his lead and use their positions to help the world. He added to Marie Claire magazine: "There is ever more attention on celebrity than ever – and there is a use for that besides selling products. "We can't make policy but we can 'encourage' politicians more than ever before."